Dog Fouling is one of the main areas of complaint Usk Town Council receives from residents and we are keen to eradicate this extremely unpleasant, problem from the town. Whilst we recognise that the majority of dog walkers in Usk act responsibly and clean up after their dog, a minority of people still fail to do so and this causes problems within the area. 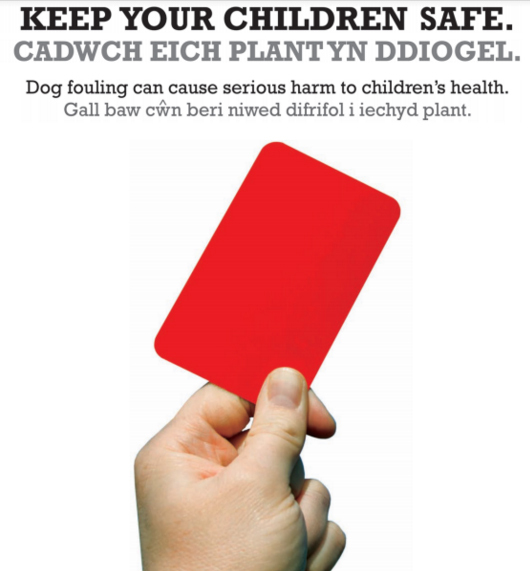 Dog fouling is widely considered to be the most offensive type of litter on our streets and green spaces, being both visually unpleasant and also potentially dangerous with the threat of contracting Toxocariasis, a very real risk to the public, particularly the young. 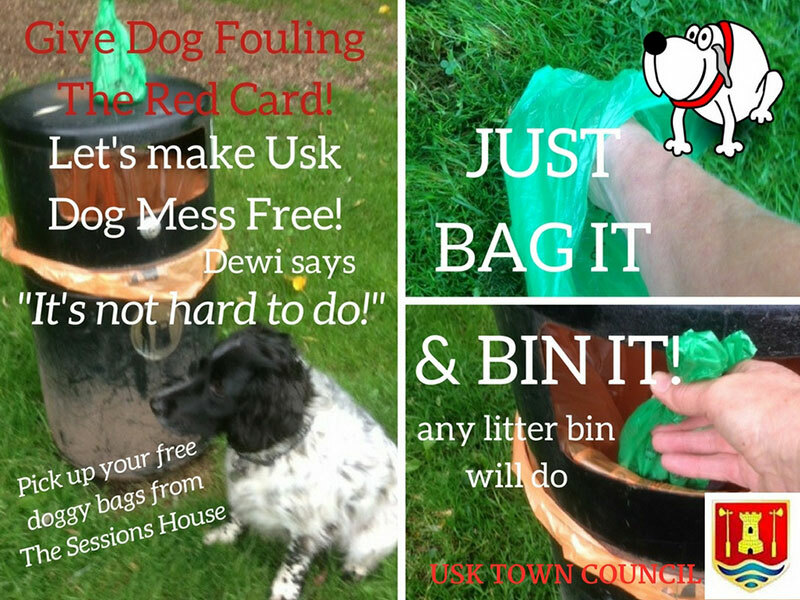 Free dog poo bags are available from The Sessions House and Usk Vets so there is no excuse for not picking up after your dog. Mess can be disposed of in any litter bin or in the red dog poo bins that are situated at various points around the town. Those who are reported not picking up when their dog fouls face a fixed penalty notice of £75. A person who refuses to pay can expect to be prosecuted in court where the fine can be up to £1,000. If you see a dog owner who is continuously breaking the dog fouling laws, you can report them. Dog owners who do not pick up can be reported to Monmouthshire County Council via their website which gives residents the option to use the council’s recently-introduced My Monmouthshire app to log problems with dog fouling.